The practice of closed communion is biblical and confessional, and the true practice of Christian love. The use of anything other than natural bread and natural wine for the Body and Blood of Christ, respectively, in the Lord’s Supper is against Christ’s institution. 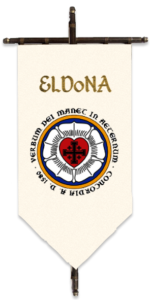 Our Church is a member of the Evangelical Lutheran Diocese of North America, a diocese of Churches committed to teach and do that which is in complete harmony with what is taught in the Lutheran Confessions, the Book of Concord (1580).